When we hear a turkey gobble from a tree, and then his gobble becomes muffled, I know the turkey has flown out of the tree and is on the ground. 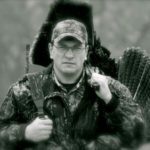 If I call to the turkey, I hear him coming toward me, and I have a right-handed shooter, I’ll have the shooter more to the right of where I think the turkey will appear, rather than sitting straight toward the gobbler. 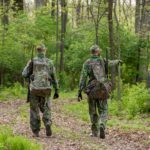 If he’s facing straight toward the gobbler, and the turkey starts coming more to his right, the hunter won’t have near the range of motion that he will if he’s sitting more to the right of where we expect the gobbler to appear. 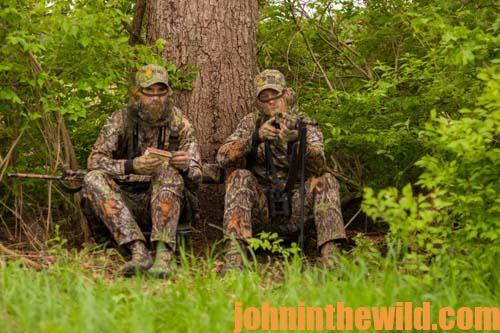 Other things I tell the hunters I’m guiding is, “When you sit down, get really comfortable, and make sure you’re totally hidden, and sit very still.” I also tell my hunters, “Be listening to hear the turkey walking or drumming, because not all turkeys come in gobbling. 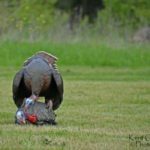 I’ll tell you when to shoot.” When a mature gobbler comes to a call, stands up straight and starts looking at a newcomer to the sport, the turkey appears to be as big as an elephant to that inexperienced turkey hunter. 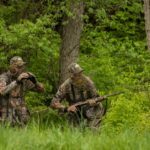 Also, a newcomer to the sport of turkey hunting will have a tough time judging distance the first time he or she sees a turkey in the woods. That’s why I need to whisper, “The turkey is within range. Take the shot when you’re comfortable.” I don’t want to say, “Shoot,” because he may not be able to see the turkey as well as I can. Also, I want the hunter to be as comfortable and confident as possible when he/she pulls the trigger. 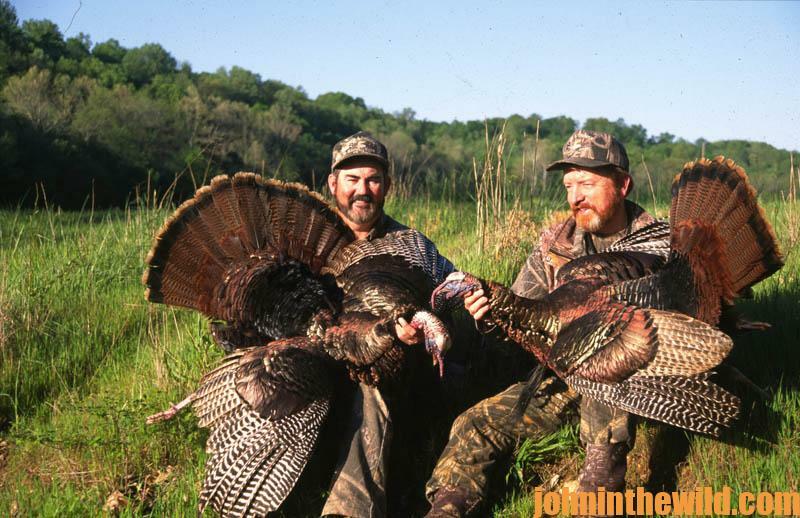 One of the biggest mistakes I’ve seen in 40 years of turkey hunting is when a new turkey hunter first sees that gobbler, he or she will pull his cheek up off the stock and get really excited. He’ll want to rush the shot, and then he’ll miss. Many people may not believe this. 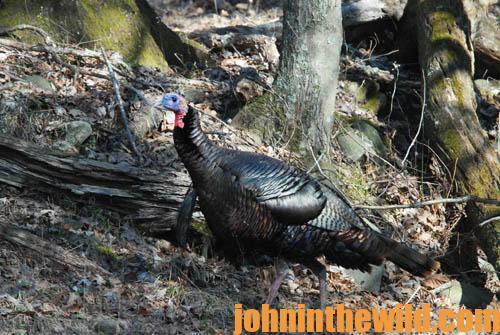 If you’ve ever taken a first-time turkey hunter into the woods and let him/her see a gobbler come walking straight toward him, you’ll also see that person get an adrenaline rush that only may be matched by a saber tooth tiger charging you and wanting to have you for lunch. 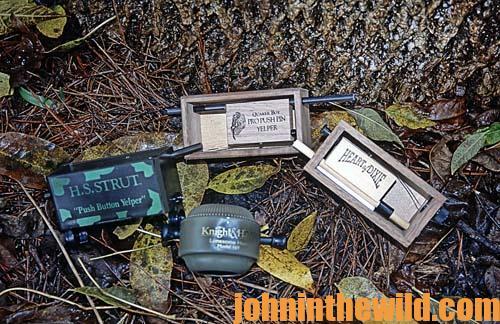 I think the best thing I’ve ever done to improve my turkey hunting and to improve the chances of a newcomer taking a turkey is to have that newbie hunt with a turkey scope. 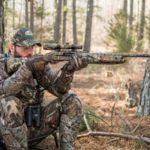 The scope forces the hunter to put his cheek on the stock and look through that tube. 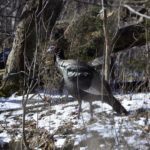 When he/she sees the turkey’s head and neck area, he’ll let the red dot or the crosshairs settle on the turkey’s wattles before squeezing the trigger. I guess I’ve seen 100 people pick their cheeks up off their stocks, start looking at the turkey and all of a sudden, shoot and miss the gobbler because they didn’t have scopes.